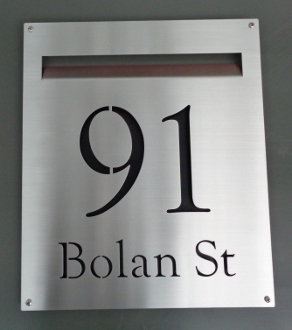 Mailbox Face-plate [Gos] - $247.00 : Letter Box King, Best value letter boxes and lettering! 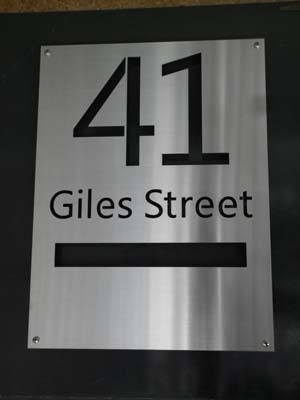 High quality laser-cut brushed marine grade stainless steel face-plate. 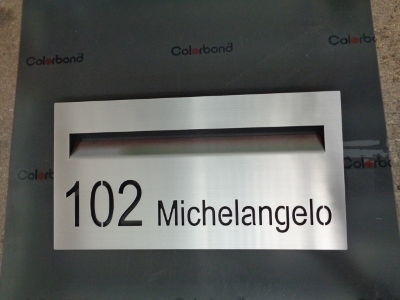 The text will be removed , we supply a black backing sheet which can be fitted behind the text. 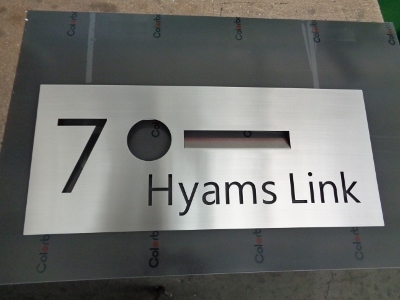 It's made from 2mm 316 brushed stainless steel, 340mm wide x 400mm high. 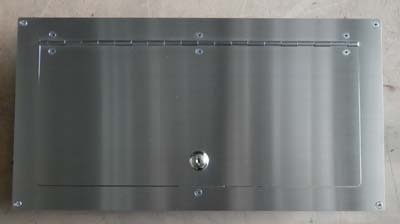 The mail-slot has an internal weather angle bent on, the opening is 287mm wide to match our lockable doors 340x230mm high. The required text can be nominated in the comments box, the plate will be supplied with 4 fixing holes unless requested no holes.